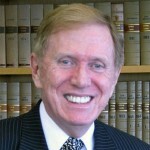 Before his retirement from the High Court of Australia in February 2009, Michael Kirby was Australia&apos;s longest serving judge. Since then Citizen Kirby has been busier than ever doing important work across a number of fields all over the world. Here he addresses the thorny issue of Church & State.